On Saturday, with Republican leaders urging Republican presidential candidate to step aside after a 2005 video surfaced of Trump making lewd comments about women, key supporters gathered at Trump Tower, where the candidate lives. 6 Trump supporter Gov. 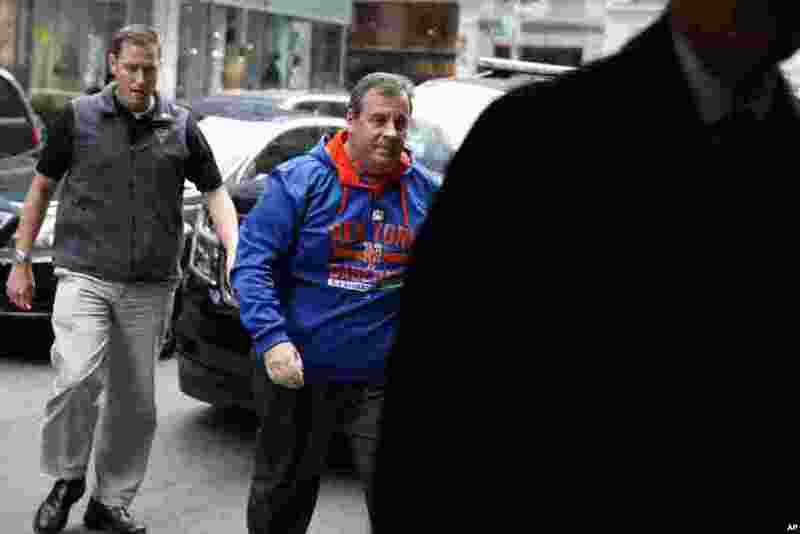 Chris Christie arrives at Trump Tower. 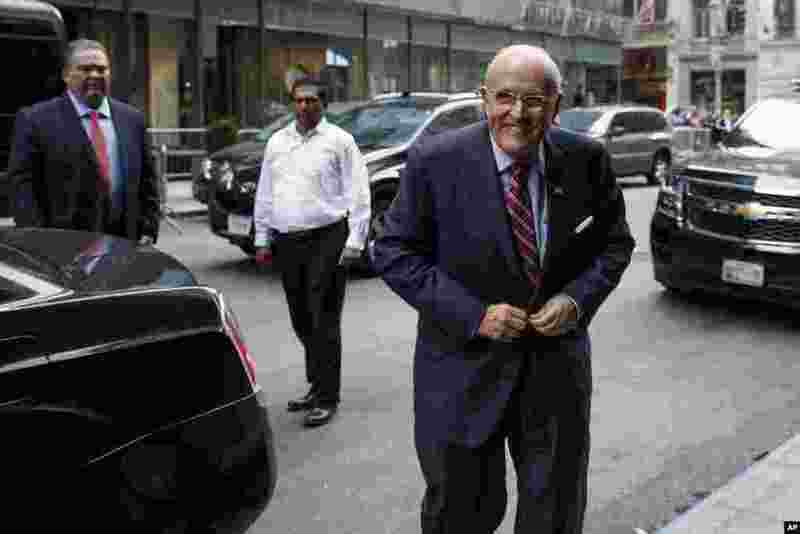 7 Former New York mayor Rudy Giuliani arrives at Trump Tower Saturday.